1 Essential Oils for Toning Skin Really Work! Learn How to Make a DIY Body Toning Oil for Smooth Skin. Essential Oils for Toning Skin Really Work! Learn How to Make a DIY Body Toning Oil for Smooth Skin. Wouldn’t it be fabulous if you could find a DIY body toning oil that would magically transform your body without you needing to go to the gym or eat right? Well, that is what I’ve got for you today. We all know that most of our body tone happens in the kitchen and in the gym. There isn’t a way around that. However, sometimes when we reach a certain age, our skin starts to lose its tone despite our best efforts. I started researching skin toning oils and essential oils for toning skin, determined to do SOMETHING to at least fight back. 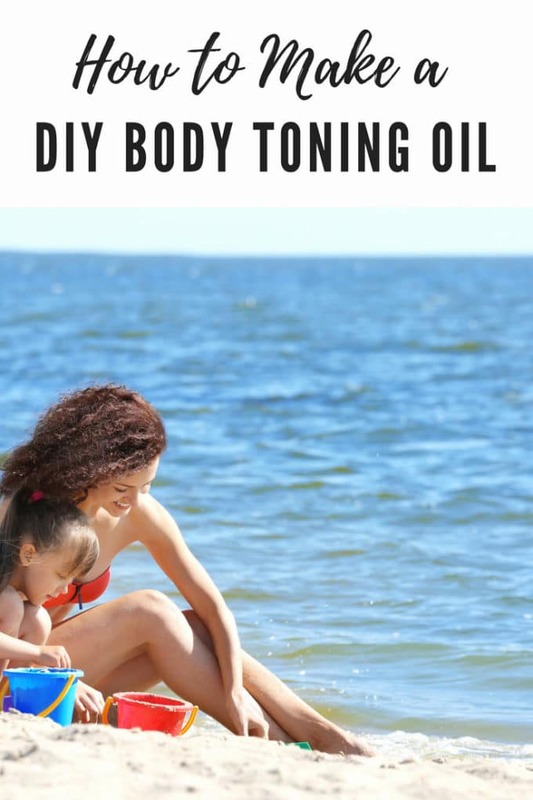 This DIY Body Toning Oil has three of my favorite stimulating essential oils. Black Pepper – It has a dry, woodsy scent. It also helps with aching joints and muscles which is nice. Because you know, we do have to work for it. Ginger – Ginger is a warming oil that helps to increase blood flow. it is also helpful for joint and muscle pain. Lemongrass – Lemongrass has a fresh, lemony scent and is useful in helping to increase circulation. They combine to make a pleasant smelling DIY Body Toning Oil. I have been using it daily after my shower and have been pleased with the results. Have you ever thought about using essential oils for body toning? 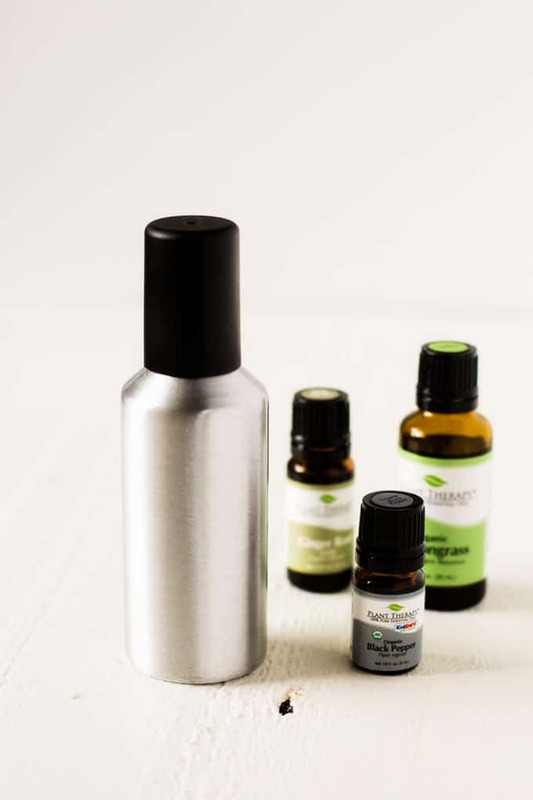 Add Black Pepper, Ginger and Lemongrass Essential Oils to your spray bottle. Fill the remainder of the bottle with your carrier oil. Close and shake well to combine. To use, shake the bottle and spray on to your skin. Massage in, moving in a circular motion. That is so awesome! I love this toning recipe, and I LOVE the giveaway. Thank you so much for sharing both with us! This is a really cool idea. The toning oil combo should come in handy for the shaping up the skin. I’m definitely curious about the benefits of the ginger oil. I actually had no idea there was such a thing as black pepper essential oil. Which is funny because I use essential oils a lot. Ever since I had the kids, it’s been a little tough to loose the extra weight. I’ve been working out these past months though and I agree with the feel of my skin as well. I think it has to be a little more toned. I didn’t know you could use essential oils for that! SO COOL! So glad you enjoyed it! Yes, as far as I know they carry the ingredients all the time. Amazing! I never thought that those ingredients can actually make a body toning oil. absolutely love this “organic” toning oil. Take note on the ingredients and definitely will try it out soon. thanks!